Richard Price discusses his latest novel, The Whites, (written under the name of Harry Brandt) and its themes, out this past month in trade paperback. He also talks about his work in Hollywood. 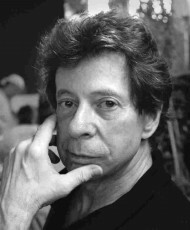 Richard Price is the author of several novels, including Clockers and Freedomland. He is interviewed by Richard Wolinsky. Recorded at Book Passage Bookstore in Corte Madera, California in March, 2015.